Have you seen the CBS show “The Briefcase”? It’s definitely not my favorite, but something you can DVR for when nothing is on. After all, summer TV is slim pickings! The show’s premise is this: Two families are given $100,000. They can keep all of it, some of it, or give it all away to another family in equal or worse financial shape. If you’ve seen it, you know that part of the show is when the couples exchange houses, trying to find about the family who lives there? Instead of telling about the person/people I chose for this post, I decided to describe him/her/them using pictures. 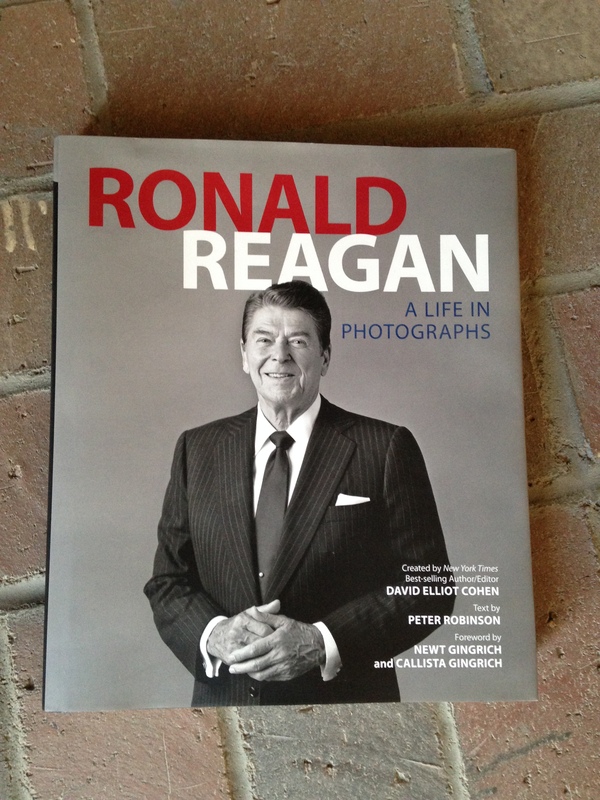 Reagan book- does that mean he/she/they like our 40th president? Are they Republican? Or just a fan of bad movies? 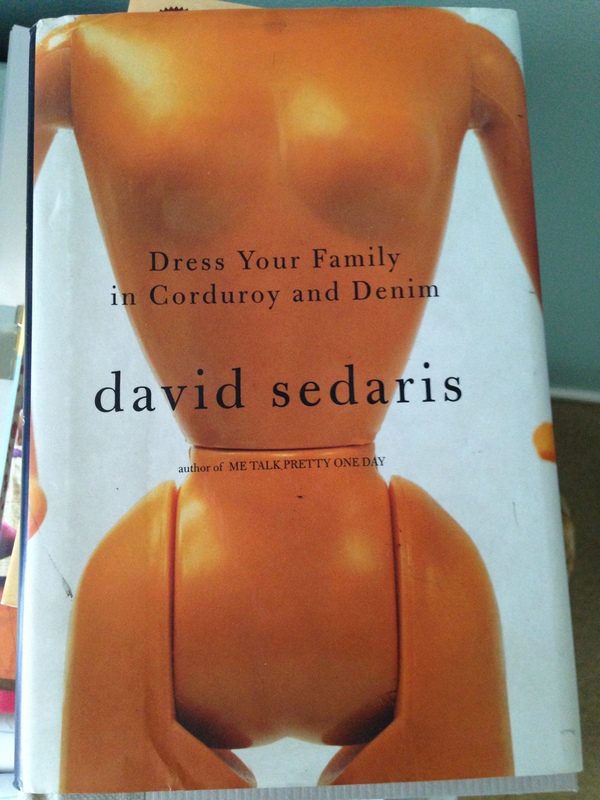 David Sedaris book: Does the person or people also have a quirky sense of humor? Or are they just sarcastic? Tools: Are they working on something? Hobby? Both? 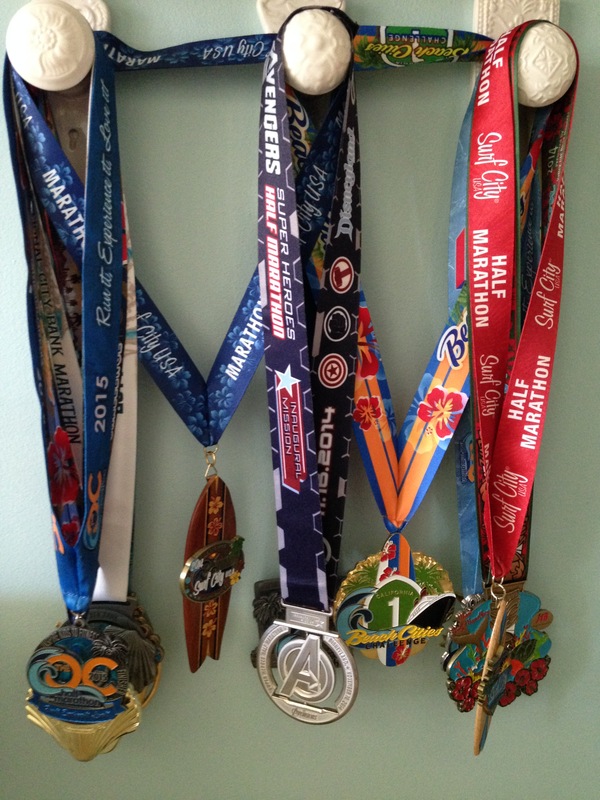 Medals: They look like running medals. Are they a runner? Or did they hit a runner’s garage sale then hang them up in their own home? 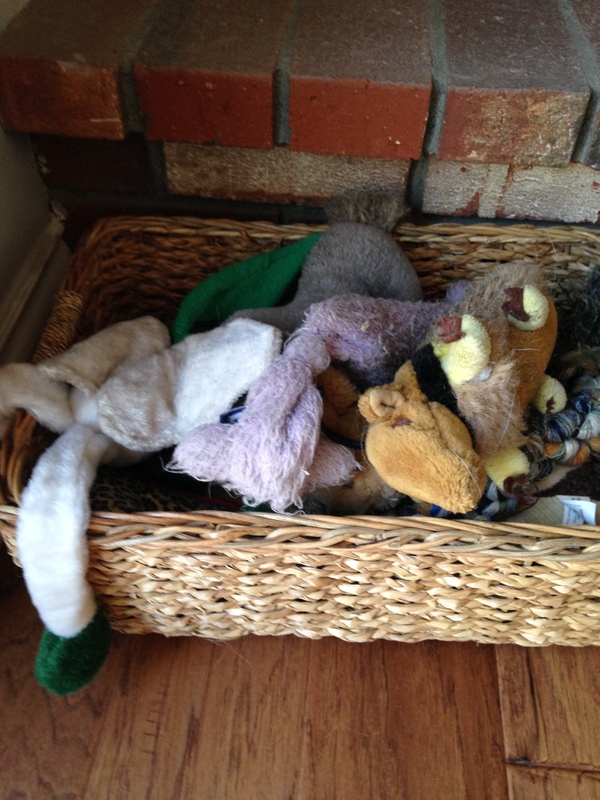 Basket of toys: Do they have dogs? Or just a child with a propensity towards grimy stuffed animals? Last picture: Do they enjoy gardening? Is it even their yard? If not, where is it? Okay, these pictures represent my parents, Linda and Gary. Dad is a huge Republican who thinks Reagan was the best president ever, hands down. 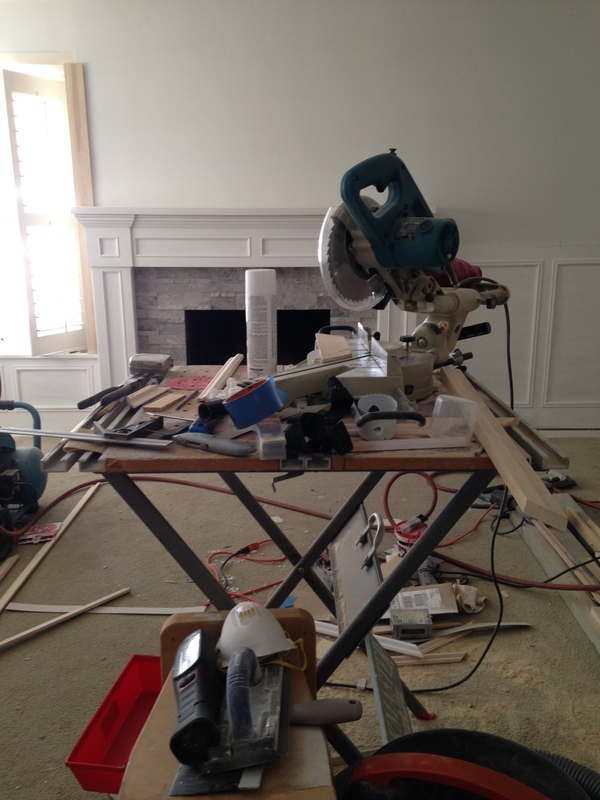 He enjoys woodworking and is currently redoing our living room. Mom is a runner with a quirky sense of humor, hence David Sedaris. They both love dogs (Dad would never admit it). 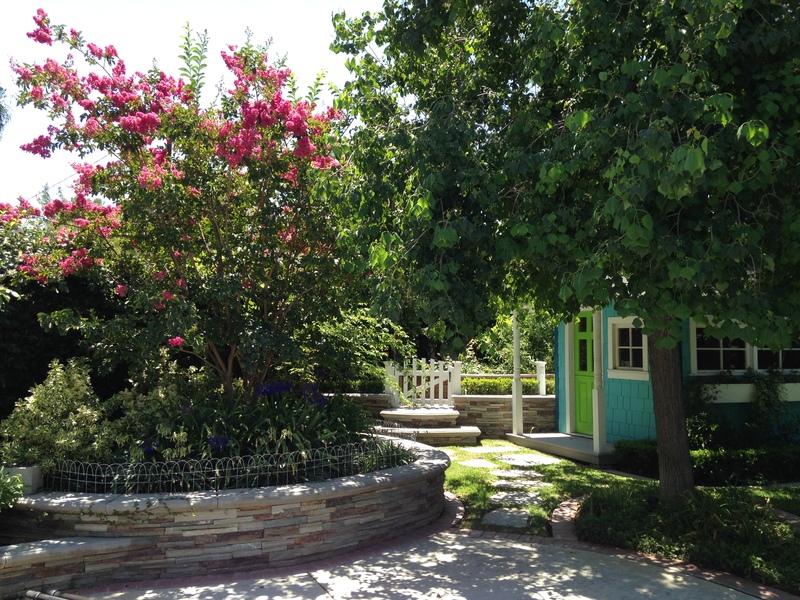 The garden is our backyard, and they both enjoy getting dirty taking care of it. Hopefully if our family is ever on “The Briefcase,” whoever comes through our house to gather clues isn’t offended by Reagan, “gets” quirky personalities, and loves dogs. Otherwise, they’ll be keeping all the money for themselves.